Announced only a month ago, LinkedIn’s redesigned Company pages are now being made available to all companies starting today. The redesigned look gives members easier access to important information, such as company news and career opportunities. For companies, it puts your updates front and center, encouraging engagement. Additionally, you can now showcase your products and services along the right side of the page. And the new Career Pages offer you a chance to tell your story and make the hiring process more personalized. Another notable change is the removal of the blog section. Previously you could plug in your RSS feed on your Company page for automatic updates. 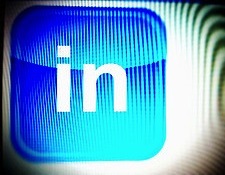 Now, if you’d like to share your blog posts on LinkedIn, you should do so directly through the news feed. As part of the rollout, LinkedIn has introduced Feature Updates, which allow you to highlight important content by promoting it to the top of your update stream. And don’t forget that you can now upload an additional image that to better represent your company and brand.